At the basic level, a boiler is just a pressure vessel. However, it is a pressure vessel that is designed to heat water and or produce steam which can be used to provide hot water or for space heating. 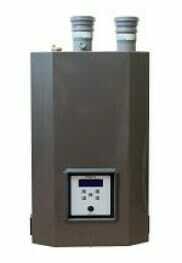 As a source of hot water or a source of space heating, high efficiency boilers tend to last very long. They also achieve efficiencies of 95% or even greater, which means you waste very little energy. This is particularly beneficial when heating huge buildings. On the flip side, boilers tend to use a lot of energy. As such, it is of paramount importance that you ensure the boiler is regularly maintained and it is operating as efficiently as possible. Otherwise, you can rest assured that the boiler’s operational cost will increase very quickly. Every year of differed maintenance, you can expect the operating cost emanating from energy consumption alone to increase by approximately 10% (Capehart, B., Turner, W. and Kennedy, W., 2006. Guide to Energy Management). Furthermore, when a break down occurs, the cost of repair will be far higher than normal. As such, for homeowners or businesses that operate a boiler, its maintenance is a good avenue of introducing energy efficiencies and reducing energy consumption and associated cost. One of the major parts affected by inefficiencies are the heat transfer surfaces. Having the heat transfer surface coated with soot will reduce the net heat transfer to the water. As such, you should schedule cleaning of such surfaces as recommended by the manufacturer of the boiler. Additionally, you should consider cleaning parts that accumulate scale as it affects the boiler much the same as scale. However, you can go one better by treating water proper to negate chances of scale build-up occurring. Kingston and Gananoque residents and businesses can rely on Furlong HVAC Services for professional boiler service and installation. As specialists’ adept in boiler technology, we are extensively experienced in matters of boiler installation, repairs, maintenance, inspections, and cleaning. We also provide 24/7 emergency services. all stops to help our technicians advance their knowledge on the latest boiler technologies and the best servicing techniques and practices. Consequently, when we send a technician to serve you, you can rest assured of the highest quality of workmanship. The owner of Furlong HVAC Services has over 20 years experience with hydronic systems and is up to date on all the current systems. Finally, you should also be mindful of the legal responsibilities placed upon boiler owners. For instance, in Ontario, boilers with a draft hood should be inspected at least once every year and CO tests should be completed. If levels are above the recommended T.S.S.A level (100 ppm and below), remedial steps should be taken to reduce the CO emission. Otherwise, the boiler should be shut down or the property owner is liable to hefty fines if something should go wrong. Additionally, to retain the warranty on the boiler, it should be maintained as stipulated. Get in touch with us today by visiting our contact page to schedule your next service or to get a quote on a new high efficiency boiler system.